The entire world has already geared up for solar energy with car manufacturers being extra inquisitive. Driving a solar powered smart car is no more a dream now; if things go well, by as early as 2019 we will be able to ride a car entirely run by solar power. According to recent reports, German car manufacturing company Sono Motors is in the final development phase of the solar charging system for its first ever car. The Munich-based start-up firm is in the testing phase that will allow recharging the vehicle while you are driving it. This innovative electric car named, Sion will have solar cells integrated into the bodywork. The cells will allow gaining the power to convert into range while driving the car. 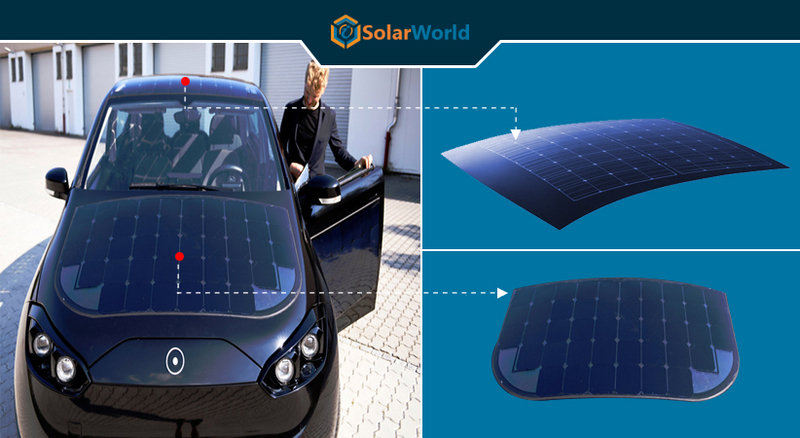 Approximately 330 solar cells will be attached to the vehicle's roof, bonnet and sides and its battery system will offer a range of around 250 km before it needs recharging. Other than solar power, the car can also be charged from conventional power outlets like other electric cars. The company was founded in 2016; however, the makers have already received over 6,000 reservations for the car. This will be featured in both urban and extender forms. The extender will cost around €16,000 (about $19,000) and achieve up to 250km of range while the urban will achieve the range of up to 120km (75 miles) of range on a single charge and cost €12,000 (about $14,000). The car is expected to regenerate up to 30km of range a day from the panels. comprised of rustproof polycarbonate which is scratch resistant and has solar panels covering 7.5 square metres of the car’s body, the exterior is mainly designed. in addition of moss which will act as an air purifier to filter out particulates and dust using electromagnetic charge, one unusual feature will also be placed inside the car. The car, however, will be available in the only black for the panels to be effective and surely be hidden. bidirectional charging which means its charge and energy can be utilized for a number of different things including an external light or cooker will also be fitted into the car. a seat heater, air conditioning system, and one infotainment system will also be available inside the car. Co-founder and chief executive of the company, Laurin Hahn has said that the vehicle will have no frills and include all modern facilities. From the second half of 2019, Sono Motors is expected to start selling the vehicle to clients. For more such updates, stay connected with us and subscribe our newsletter.